Sentence: Two years of probation. Eminem was running wild in June 2000. First, on June 3, he got into an altercation at a car audio store in Michigan and pulled out an unloaded gun. The very next day, he allegedly saw his then wife Kim kiss a man named John Guerrera in the parking lot of a cafe. Em proceeded to assault Guerrera and was then arrested. 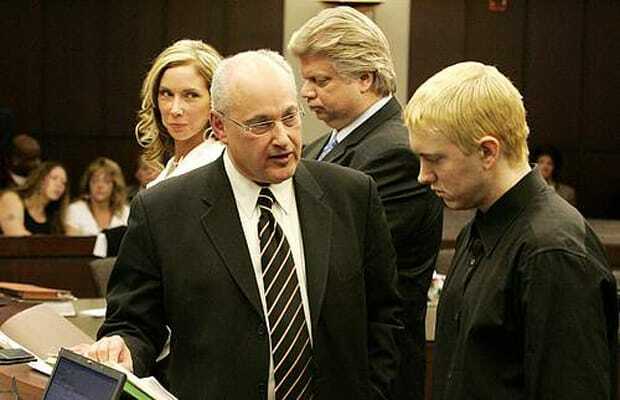 Eminem was later charged with possession of a concealed weapon and assault.